Christmas has always been a hectic time here in Whistler, as so much energy goes into welcoming and entertaining guests. This was as true 90 years ago as it is today. Scanning through our archives this week, we were surprised by how few Christmas images we actually had. It seems as if everyone was always too busy to get the camera out! In any case we managed to find a few good ones for this week’s post. Christmas was always a major production at Rainbow Lodge. Myrtle and Alex were renowned entertainers, and for Christmas they pulled out all the stops. These two images show the calm before the storm. 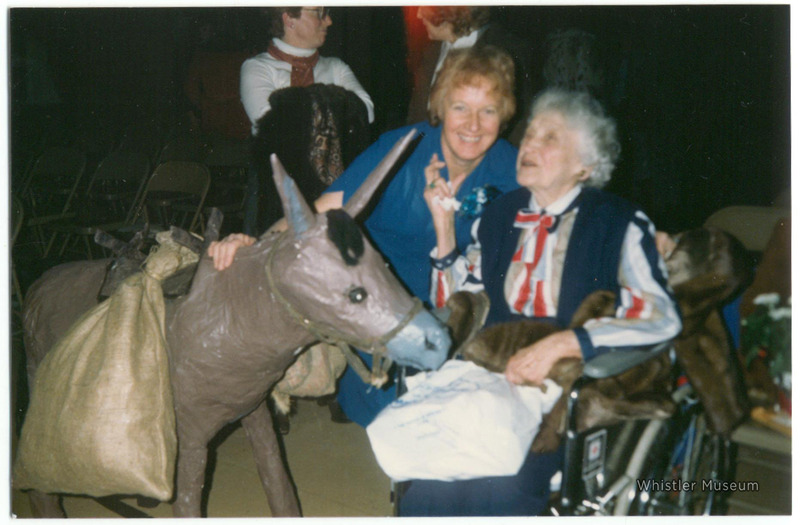 Although it would be nice to have pictures of the actual dinner and guests, these photos are especially valuable because, of the hundreds of images we have of Rainbow Lodge, only a handful of them were taken inside the lodge. 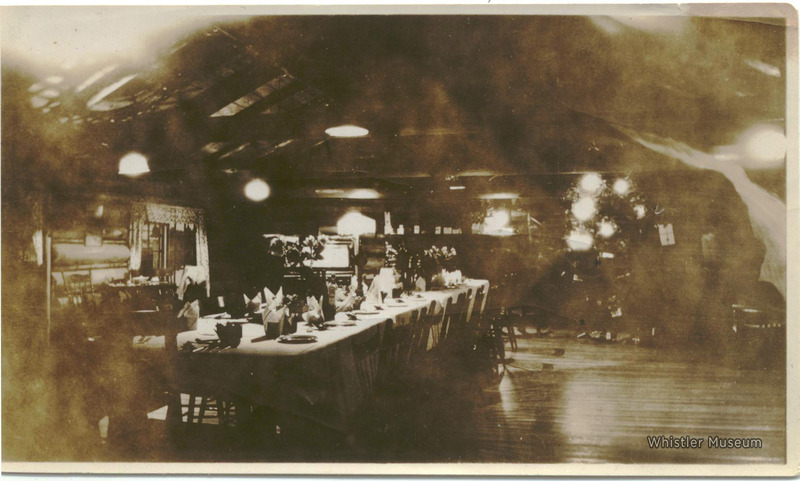 Here’s the Rainbow Lodge dinner table, Christmas 1923. 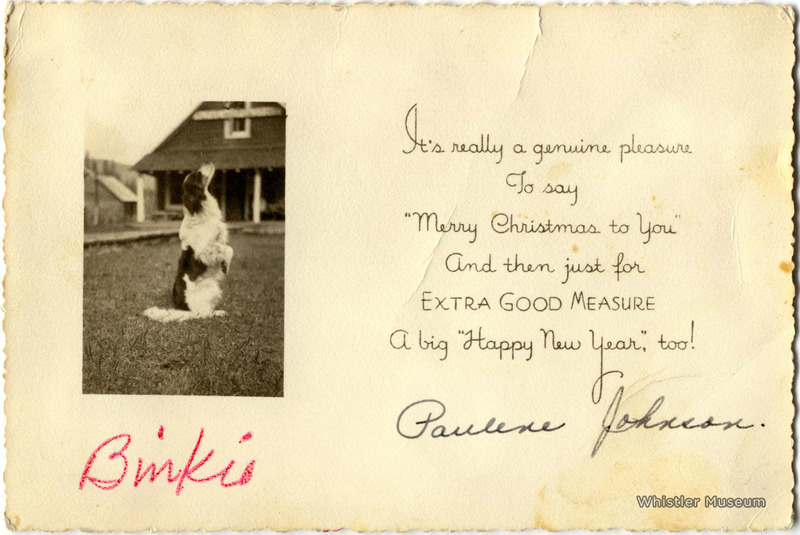 A 1947 Christmas Card from Rainbow Lodge friend, Paulene Johnson, featuring Binkie the Dog! In later years, Christmas was a more relaxing experience for Myrtle as she didn’t have the responsibilities of entertaining at Rainbow Lodge. Myrtle Philip and friend Mollie Boyd at Myrtle Philip School to enjoy a performance of “Christmas at Rainbow” by local school children. It must have been the best Christmas present ever for Myrtle to watch the theatrical ode to her life’s work performed in a school named in her honour! And even though for most Whistlerites Christmas is far more work than holiday. we hope you all have a chance to kick back with friends (and if you’re lucky enough, family too) and treat yourself as well. Happy Holidays! 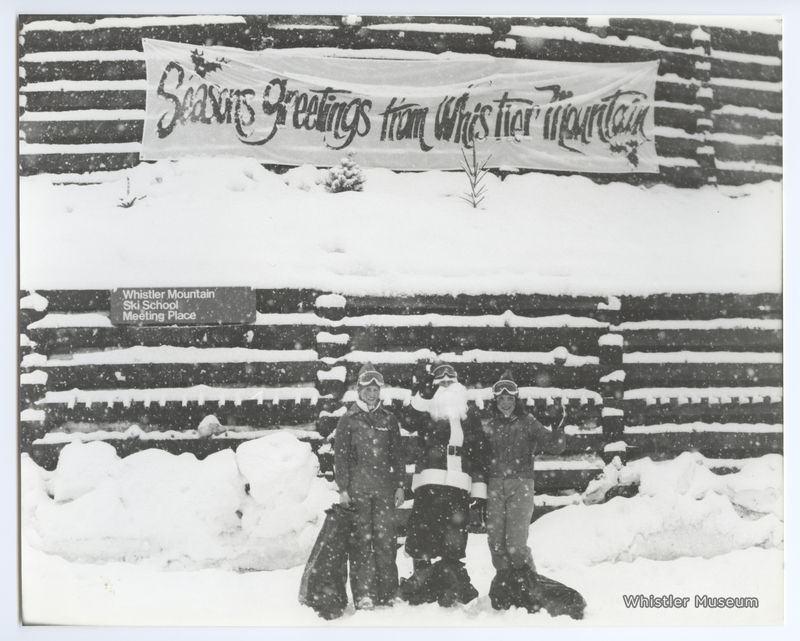 Season’s Greetings from Whistler Mountain staff, early 1970s. 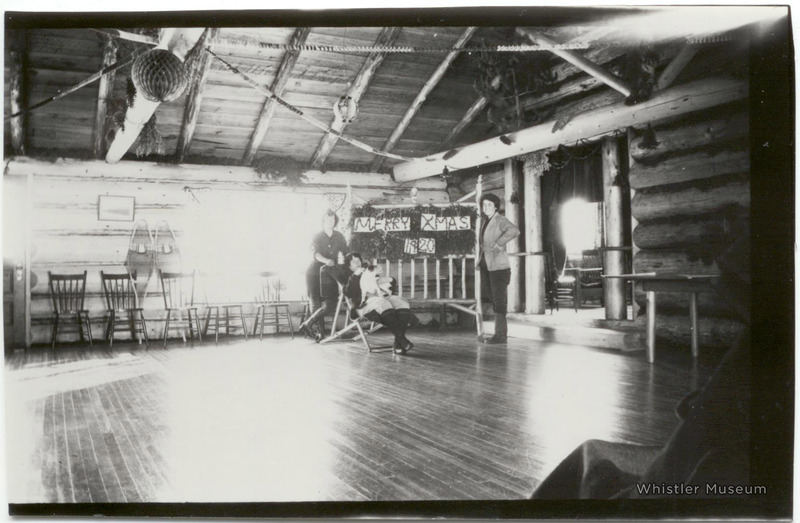 This entry was posted in Beyond Skiing, From the Archives, Pioneers. Bookmark the permalink.